Ritz Farms, Arcadia, NE at the 51st Annual Carl Dethlefs & Sons sale. The Pedersons, of Franklin, NE purchased Dethlefs bulls. Scott Oakley, Diamond Y Ranch, Wolback, NE bought several Dethlefs bulls. 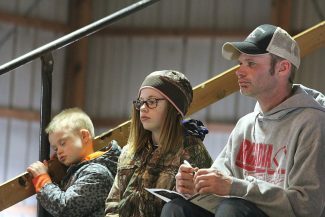 We had a very nice little break in the weather for the Dethlefs family's 51st Annual Bull sale. This is a true 2-year-old operation. The bulls are bred, fed and developed to be sold as two year olds. 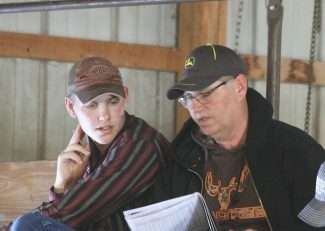 Jerry and son Gary offer a very select set of yearlings for their customers that prefer yearlings. The top selling bull was lot 10, Loup Valley Identity 7118, a 3/17 son of KR Identity 4088 selling to Guy Mills, Ansley, NE for $12,500. 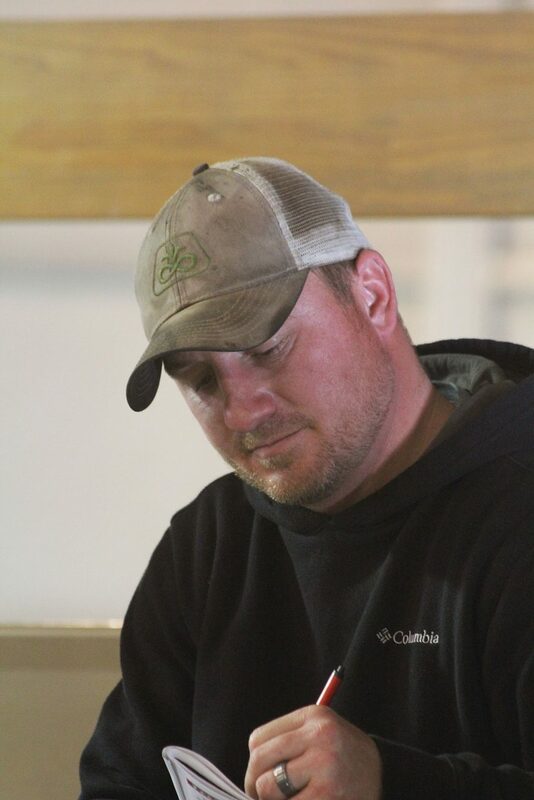 Lot 2, Loup Valley Identity 710, a 3/17 son of KR Identity sold to Scott Thoene, Burwell, NE for $11,000. Lot 11, Loup Valley Identity 7335, a 5/12 son of KR Identity sold to Fred Thoene, Burwell, NE at $11,000. Lot 7, Loup Valley Identity 7180, another 4/17 son of KR Identity sold to Guy Mills, Ansley, NE for $9,000. Mills also picked up lot 18, Loup Valley Identity 7116, also a 3/17 son of KR Identity for $8,000. Lot 34, Loup Valley Identity 7190, also a 4/17 son of KR Identity sold to Arrow C Ranch, Ravena, NE for $8,750.